 Size: Diameter 4.9″,Height 6.69″. 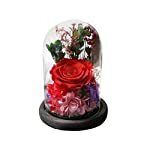 Package: 1X flowers bouquet with glass dome. There is no light at the bottom of the base. 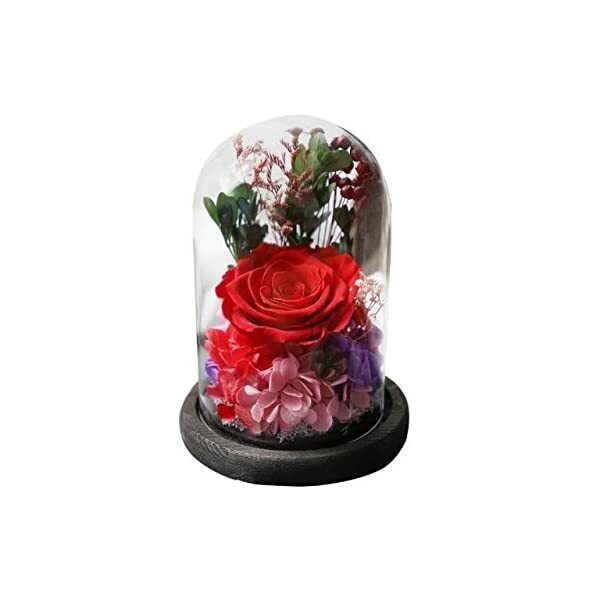 The removable glass dome is placed on a wooden base,please be careful when you open the box.  All these preserved flowers are handmade by Amoleya. It is a cute and romantic gift to your family, friends, lovers and symbolizes your best wishes and love to them. 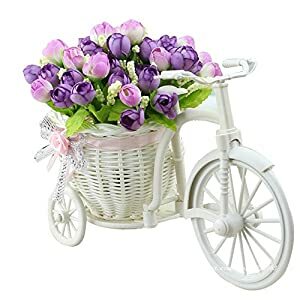  Preserved fresh flowers are much richer in color than fresh flower by using biology technology, many colors are beyond your imagination, what’s more,such flower will not fade or wither for 2- 3 years if you take care of it properly. Thanks for choosing Amoleya preserved fresh flower, it is more than a flower, it is love and sincerity to your loved one one. First, what is preserved fresh flower? Preserved fresh flower is a true flower, not artificial fake one, which is made by complicated process and seems like a fresh flower in many ways such as color, appearance and sense of touch. 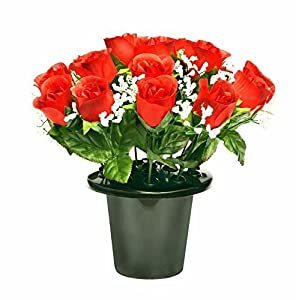 It assists in keeping most features of fresh flower and at the same time it could last for 2-3 years, and even more years if you treat carefully. Second, methods to take care of it? 1, It could not be eaten, and please keep it away from children or pets, might be harmful if swallowed accidentally. 3, Don’t touch it regularly, steer clear of direct sunshine and humidity, don’t place it at the vent of the air conditioner or fans. 4, Don’t water it, it’ll grow to be half-transparent in wet air, if that is so, please place drier around it in a closed box, it’ll recuperate soon. Don’t let the flower expose in the air for a very long time. 5, If there are dirt on petal, please use soft cold wind of hair dryer to blow it from 50 inches away. Don’t use strong wind or hot wind or too close, the flower will be off form. 6, This flower is of natural preservation and There’s no pollen, which may not cause hay fever. They’re suitable for those flower lovers but allergic to pollen. Notice: There’s no pollen,so There’s no flower fragrance. Notice: it is normal if there is slight crack on petals on the way, please cut it according to the shape of flower and it may not destroy the beauty. If you have any question, feel free to contact with Amoleya. 1, Size: Height 6.69″,Diameter 4.9″ there are lots of colors for you to make a choice.The removable glass dome is placed on a wooden base,please be carefull while you open the box. 2, A lot of these preserved flowers are handmade by Amoleya. 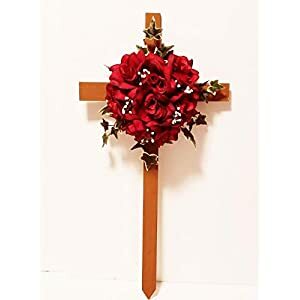 This can be a cute and romantic gift to your circle of relatives, friends, lovers and symbolizes your best wishes and love to them. 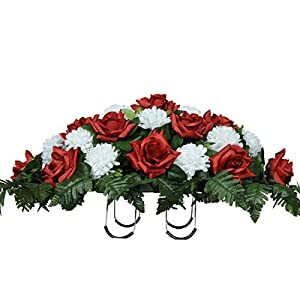 3, Preserved fresh flowers are much richer in color than fresh flower by the usage of biology technology, many colors are beyond your imagination, what’s more,such flower won’t fade or wither for 2- 3 years if you care for it properly. 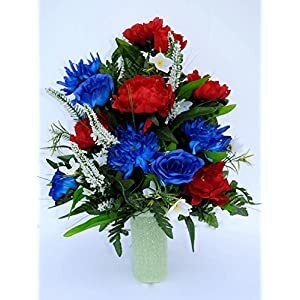 4, Preserved fresh flower might be sent as gifts on many occasions:Valentine’s Day, Mother’s Day, Father’s Day, Thanksgiving day, Birthday, Anniversary, Christmas, Proposal, Wedding, Bridal Shower, Baby Shower and any Party Favor. 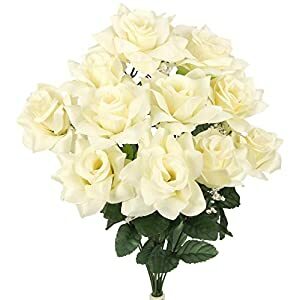 5, Notice: it is normal if there is slight crack or flaw on petals on the way, please cut it according to the shape of flower and it may not destroy the beauty. We will be able to try our best to pick out and pack the flower to steer clear of crushing on the way.